Looking for used cars, trucks, and SUVs for sale near Branford? 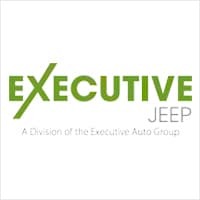 With over 89 used vehicles in stock, Executive Jeep is the local used car dealership for you. Choose from popular Jeep models like a pre-owned Jeep Compass, a capable Jeep Grand Cherokee, or a used Jeep Wrangler. To ensure we have a used car to suit every budget, we also offer a selection of used vehicles priced under $10k. For New Haven drivers looking for the savings of buying used, but still want to comfort of being under warranty, we have a wide selection of Certified Pre-Owned vehicles in stock. Browse our used cars for sale online to discover the perfect one for you! 2015 Jeep Compass Sport** CARFAX One-Owner. Clean CARFAX. **BLUETOOTH**, **JEEP CERTIFIED**, CARFAX 1 OWNER, **ALL WHEEL DRIVE**, *BACK UP CAMERA*. FCA US Certified Pre-Owned Details: * Warranty Deductible: $100 * Includes First Day Rental, Car Rental Allowance, and Trip Interruption Benefits * Transferable Warranty * Limited Warranty: 3 Month/3,000 Mile (whichever comes first) after new car warranty expires or from certified purchase date * Roadside Assistance * 125 Point Inspection * Vehicle History * Powertrain Limited Warranty: 84 Month/100,000 Mile (whichever comes first) from original in-service date Executive Jeep Nissan , a short drive from MA, NY, RI, NJ, and VT. Our guests enjoy an exceptional shopping experience with our courteous, knowledgeable staff. Our accelerated sales process respects your time, and our transparent fair market pricing takes the hassle out of car shopping. Every vehicle is provided with the safety inspection and complimentary history reports. To make your life a little easier, we are even open Sundays for sales and service by appointment. Thank you for visiting Executive Jeep Nissan. Since 1972 we have served the Hartford, New Haven, Berlin, Guilford, Wallingford and North Haven areas and have helped new car and used car buyers find the perfect vehicles to drive home in. After decades of service to our customers, we have become synonymous with providing a quality selection, excellent prices, and friendly service. Our Difference is the Key! *Price excludes state and local tax, registration fees, and dealer conveyance fee or processing fee. Internet pricing includes all incentives and rebates. Special offers and pricing can only be applied to MSRP. 2014 Jeep Grand Cherokee Limited **BLUETOOTH**, **NAVIGATION**, **MOONROOF**, **LEATHER**, **HEATED SEATS**, **ALL WHEEL DRIVE**, *BACK UP CAMERA*. Executive Jeep Nissan , a short drive from MA, NY, RI, NJ, and VT. Our guests enjoy an exceptional shopping experience with our courteous, knowledgeable staff. Our accelerated sales process respects your time, and our transparent fair market pricing takes the hassle out of car shopping. Every vehicle is provided with the safety inspection and complimentary history reports. To make your life a little easier, we are even open Sundays for sales and service by appointment. Price includes Nmac incentive. Must finance through NMAC to qualify for incentive. 2013 Jeep Wrangler Sahara Billet Silver Metallic **NAVIGATION**, **FACTORY HARDTOP**, **4X4**, **TRAIL RATED**. Executive Jeep Nissan , a short drive from MA, NY, RI, NJ, and VT. Our guests enjoy an exceptional shopping experience with our courteous, knowledgeable staff. Our accelerated sales process respects your time, and our transparent fair market pricing takes the hassle out of car shopping. Every vehicle is provided with the safety inspection and complimentary history reports. To make your life a little easier, we are even open Sundays for sales and service by appointment. Thank you for visiting Executive Jeep Nissan. Since 1972 we have served the Hartford, New Haven, Berlin, Wallingford Guilford and North Haven areas and have helped new car and used car buyers find the perfect vehicles to drive home in. After decades of service to our customers, we have become synonymous with providing a quality selection, excellent prices, and friendly service. Our Difference is the Key! *Price excludes state and local tax, registration fees, and dealer conveyance fee or processing fee. 2014 Jeep Grand Cherokee Limited **BLUETOOTH**, **JEEP CERTIFIED**, **NAVIGATION**, **MOONROOF**, **LEATHER**, **HEATED SEATS**, **4X4**, *BACK UP CAMERA*. FCA US Certified Pre-Owned Details: * Roadside Assistance * Vehicle History * Transferable Warranty * Warranty Deductible: $100 * Limited Warranty: 3 Month/3,000 Mile (whichever comes first) after new car warranty expires or from certified purchase date * 125 Point Inspection * Includes First Day Rental, Car Rental Allowance, and Trip Interruption Benefits * Powertrain Limited Warranty: 84 Month/100,000 Mile (whichever comes first) from original in-service date Executive Jeep Nissan , a short drive from MA, NY, RI, NJ, and VT. Our guests enjoy an exceptional shopping experience with our courteous, knowledgeable staff. Our accelerated sales process respects your time, and our transparent fair market pricing takes the hassle out of car shopping. Every vehicle is provided with the safety inspection and complimentary history reports. To make your life a little easier, we are even open Sundays for sales and service by appointment. Price includes Nmac incentive. Must finance through NMAC to qualify for incentive. 2019 Jeep Cherokee Latitude PLUS**CARFAX One-Owner. Clean CARFAX. 2019 Jeep Cherokee Latitude Plus Velvet, **BLUETOOTH**, **JEEP CERTIFIED**, **HEATED SEATS**, Super Low Miles!, **ALL WHEEL DRIVE**, *BACK UP CAMERA*. FCA US Certified Pre-Owned Details: * Powertrain Limited Warranty: 84 Month/100,000 Mile (whichever comes first) from original in-service date * Includes First Day Rental, Car Rental Allowance, and Trip Interruption Benefits * 125 Point Inspection * Transferable Warranty * Limited Warranty: 3 Month/3,000 Mile (whichever comes first) after new car warranty expires or from certified purchase date * Vehicle History * Warranty Deductible: $100 * Roadside Assistance Executive Jeep Nissan , a short drive from MA, NY, RI, NJ, and VT. Our guests enjoy an exceptional shopping experience with our courteous, knowledgeable staff. Our accelerated sales process respects your time, and our transparent fair market pricing takes the hassle out of car shopping. Every vehicle is provided with the safety inspection and complimentary history reports. To make your life a little easier, we are even open Sundays for sales and service by appointment. Price includes Nmac incentive. Must finance through NMAC to qualify for incentive. 2015 Jeep Grand Cherokee Limited Clean CARFAX** **BLUETOOTH**, **JEEP CERTIFIED**, **LEATHER**, **HEATED SEATS**, Super Low Miles!, **4X4**, *BACK UP CAMERA*. FCA US Certified Pre-Owned Details: * Limited Warranty: 3 Month/3,000 Mile (whichever comes first) after new car warranty expires or from certified purchase date * 125 Point Inspection * Includes First Day Rental, Car Rental Allowance, and Trip Interruption Benefits * Transferable Warranty * Warranty Deductible: $100 * Powertrain Limited Warranty: 84 Month/100,000 Mile (whichever comes first) from original in-service date * Vehicle History * Roadside Assistance Executive Jeep Nissan , a short drive from MA, NY, RI, NJ, and VT. Our guests enjoy an exceptional shopping experience with our courteous, knowledgeable staff. Our accelerated sales process respects your time, and our transparent fair market pricing takes the hassle out of car shopping. Every vehicle is provided with the safety inspection and complimentary history reports. To make your life a little easier, we are even open Sundays for sales and service by appointment. Price includes Nmac incentive. Must finance through NMAC to qualify for incentive. 2016 Jeep Cherokee Trailhawk Bright White Clearcoat CARFAX One-Owner. Clean CARFAX. **BLUETOOTH**, **JEEP CERTIFIED**, **LEATHER**, **HEATED SEATS**, CARFAX 1 OWNER, **ALL WHEEL DRIVE**, *BACK UP CAMERA*. FCA US Certified Pre-Owned Details: * 125 Point Inspection * Powertrain Limited Warranty: 84 Month/100,000 Mile (whichever comes first) from original in-service date * Transferable Warranty * Warranty Deductible: $100 * Limited Warranty: 3 Month/3,000 Mile (whichever comes first) after new car warranty expires or from certified purchase date * Vehicle History * Includes First Day Rental, Car Rental Allowance, and Trip Interruption Benefits * Roadside Assistance Executive Jeep Nissan , a short drive from MA, NY, RI, NJ, and VT. Our guests enjoy an exceptional shopping experience with our courteous, knowledgeable staff. Our accelerated sales process respects your time, and our transparent fair market pricing takes the hassle out of car shopping. Every vehicle is provided with the safety inspection and complimentary history reports. To make your life a little easier, we are even open Sundays for sales and service by appointment. Price includes Nmac incentive. Must finance through NMAC to qualify for incentive. 2016 Jeep Grand Cherokee Limited***CARFAX One-Owner. Clean CARFAX. **BLUETOOTH**, **JEEP CERTIFIED**, **NAVIGATION**, **MOONROOF**, **LEATHER**, **HEATED SEATS**, CARFAX 1 OWNER, **4X4**, *BACK UP CAMERA*. FCA US Certified Pre-Owned Details: * Warranty Deductible: $100 * 125 Point Inspection * Limited Warranty: 3 Month/3,000 Mile (whichever comes first) after new car warranty expires or from certified purchase date * Roadside Assistance * Vehicle History * Powertrain Limited Warranty: 84 Month/100,000 Mile (whichever comes first) from original in-service date * Transferable Warranty * Includes First Day Rental, Car Rental Allowance, and Trip Interruption Benefits Executive Jeep Nissan , a short drive from MA, NY, RI, NJ, and VT. Our guests enjoy an exceptional shopping experience with our courteous, knowledgeable staff. Our accelerated sales process respects your time, and our transparent fair market pricing takes the hassle out of car shopping. Every vehicle is provided with the safety inspection and complimentary history reports. To make your life a little easier, we are even open Sundays for sales and service by appointment. Thank you for visiting Executive Jeep Nissan. Since 1972 we have served the Hartford, New Haven, Berlin, Guilford, Wallingford and North Haven areas and have helped new car and used car buyers find the perfect vehicles to drive home in. After decades of service to our customers, we have become synonymous with providing a quality selection, excellent prices, and friendly service. Our Difference is the Key! *Price excludes state and local tax, registration fees, and dealer conveyance fee or processing fee. Internet pricing includes all incentives and rebates. Special offers and pricing can only be applied to MSRP. 2019 Jeep Compass Limited** CARFAX One-Owner. Clean CARFAX. 2019 Jeep Compass Limited White Clearcoat, **BLUETOOTH**, **JEEP CERTIFIED**, **LEATHER**, **HEATED SEATS**, CARFAX 1 OWNER, Super Low Miles!, **ALL WHEEL DRIVE**, *BACK UP CAMERA*. FCA US Certified Pre-Owned Details: * Transferable Warranty * 125 Point Inspection * Powertrain Limited Warranty: 84 Month/100,000 Mile (whichever comes first) from original in-service date * Includes First Day Rental, Car Rental Allowance, and Trip Interruption Benefits * Warranty Deductible: $100 * Vehicle History * Limited Warranty: 3 Month/3,000 Mile (whichever comes first) after new car warranty expires or from certified purchase date * Roadside Assistance Since 1972, The Executive Auto Group has been committed to serving all your automotive needs, whether it is sales, leasing, service or parts. Your complete satisfaction has always been our priority. We appreciate the opportunity to earn your business. After decades of service to our customers, we have become synonymous with providing quality selection, excellent prices and friendly service.. Buy with total confidence. Make the Right Decision. Make the Executive Decision To view our entire inventory of new and used cars, trucks, SUV's and minivans please visit www.executivejeepnissan.net. A guest service representative is always available and more than happy to answer any questions you may have. Feel free to chat or email us at leads@executiveag.com. Executive Jeep-Nissan truly has every one of your automotive needs covered. The only question left now is how we can best serve you. To take advantage of any one (or more) of our services, be sure to contact us today via phone (888) 994-0536 or by using our online contact form. Feel Free to stop by and see us in person at 900 Universal Drive North Haven TODAY !! Thank you for visiting Executive Jeep Nissan. Since 1972 we have served the Hartford, New Haven, Berlin, Guilford, Wallingford and North Haven areas and have helped new car and used car buyers find the perfect vehicles to drive home in. After decades of service to our customers, we have become synonymous with providing a quality selection, excellent prices, and friendly service. Our Difference is the Key! *Price excludes state and local tax, registration fees, and dealer conveyance fee or processing fee. Internet pricing includes all incentives and rebates. Special offers and pricing can only be applied to MSRP. 2019 Jeep Compass Limited**CARFAX One-Owner. Clean CARFAX. 2019 Jeep Compass Limited Billet Silver Metallic Clearcoat, **BLUETOOTH**, **JEEP CERTIFIED**, **LEATHER**, **HEATED SEATS**, CARFAX 1 OWNER, Super Low Miles!, **ALL WHEEL DRIVE**, *BACK UP CAMERA*. FCA US Certified Pre-Owned Details: * Transferable Warranty * 125 Point Inspection * Powertrain Limited Warranty: 84 Month/100,000 Mile (whichever comes first) from original in-service date * Roadside Assistance * Limited Warranty: 3 Month/3,000 Mile (whichever comes first) after new car warranty expires or from certified purchase date * Warranty Deductible: $100 * Vehicle History * Includes First Day Rental, Car Rental Allowance, and Trip Interruption Benefits Executive Jeep Nissan , a short drive from MA, NY, RI, NJ, and VT. Our guests enjoy an exceptional shopping experience with our courteous, knowledgeable staff. Our accelerated sales process respects your time, and our transparent fair market pricing takes the hassle out of car shopping. Every vehicle is provided with the safety inspection and complimentary history reports. To make your life a little easier, we are even open Sundays for sales and service by appointment. Thank you for visiting Executive Jeep Nissan. Since 1972 we have served the Hartford, New Haven, Berlin, Guilford, Wallingford and North Haven areas and have helped new car and used car buyers find the perfect vehicles to drive home in. After decades of service to our customers, we have become synonymous with providing a quality selection, excellent prices, and friendly service. Our Difference is the Key! *Price excludes state and local tax, registration fees, and dealer conveyance fee or processing fee. Internet pricing includes all incentives and rebates. Special offers and pricing can only be applied to MSRP. 2019 Jeep Compass Limited**CARFAX One-Owner. Clean CARFAX. 2019 Jeep Compass Limited billet silver metallic clearcoat, **BLUETOOTH**, **JEEP CERTIFIED**, **LEATHER**, **HEATED SEATS**, CARFAX 1 OWNER, Super Low Miles!, **ALL WHEEL DRIVE**, *BACK UP CAMERA*. FCA US Certified Pre-Owned Details: * Roadside Assistance * Vehicle History * Powertrain Limited Warranty: 84 Month/100,000 Mile (whichever comes first) from original in-service date * Transferable Warranty * Warranty Deductible: $100 * Limited Warranty: 3 Month/3,000 Mile (whichever comes first) after new car warranty expires or from certified purchase date * 125 Point Inspection * Includes First Day Rental, Car Rental Allowance, and Trip Interruption Benefits Executive Jeep Nissan , a short drive from MA, NY, RI, NJ, and VT. Our guests enjoy an exceptional shopping experience with our courteous, knowledgeable staff. Our accelerated sales process respects your time, and our transparent fair market pricing takes the hassle out of car shopping. Every vehicle is provided with the safety inspection and complimentary history reports. To make your life a little easier, we are even open Sundays for sales and service by appointment. Price includes Nmac incentive. Must finance through NMAC to qualify for incentive. 2019 Jeep Compass Trailhawk ** CARFAX One-Owner. Clean CARFAX. 2019 Jeep Compass Trailhawk Laser Blue, **BLUETOOTH**, **JEEP CERTIFIED**, **LEATHER**, **HEATED SEATS**, CARFAX 1 OWNER, Super Low Miles!, **4X4**, *BACK UP CAMERA*. FCA US Certified Pre-Owned Details: * Includes First Day Rental, Car Rental Allowance, and Trip Interruption Benefits * Roadside Assistance * Vehicle History * Warranty Deductible: $100 * Limited Warranty: 3 Month/3,000 Mile (whichever comes first) after new car warranty expires or from certified purchase date * Transferable Warranty * Powertrain Limited Warranty: 84 Month/100,000 Mile (whichever comes first) from original in-service date * 125 Point Inspection Executive Jeep Nissan , a short drive from MA, NY, RI, NJ, and VT. Our guests enjoy an exceptional shopping experience with our courteous, knowledgeable staff. Our accelerated sales process respects your time, and our transparent fair market pricing takes the hassle out of car shopping. Every vehicle is provided with the safety inspection and complimentary history reports. To make your life a little easier, we are even open Sundays for sales and service by appointment. Price includes Nmac incentive. Must finance through NMAC to qualify for incentive. 2015 Jeep Grand Cherokee Altitude** CARFAX One-Owner. Clean CARFAX. 2015 Jeep Grand Cherokee Altitude billet silver metallic clearcoat, **BLUETOOTH**, **JEEP CERTIFIED**, **MOONROOF**, **LEATHER**, **HEATED SEATS**, **4X4**, *BACK UP CAMERA*. FCA US Certified Pre-Owned Details: * Limited Warranty: 3 Month/3,000 Mile (whichever comes first) after new car warranty expires or from certified purchase date * Vehicle History * Powertrain Limited Warranty: 84 Month/100,000 Mile (whichever comes first) from original in-service date * Transferable Warranty * Roadside Assistance * Includes First Day Rental, Car Rental Allowance, and Trip Interruption Benefits * Warranty Deductible: $100 * 125 Point Inspection Executive Jeep Nissan , a short drive from MA, NY, RI, NJ, and VT. Our guests enjoy an exceptional shopping experience with our courteous, knowledgeable staff. Our accelerated sales process respects your time, and our transparent fair market pricing takes the hassle out of car shopping. Every vehicle is provided with the safety inspection and complimentary history reports. To make your life a little easier, we are even open Sundays for sales and service by appointment. Thank you for visiting Executive Jeep Nissan. Since 1972 we have served the Hartford, New Haven, Berlin, Guilford, Wallingford and North Haven areas and have helped new car and used car buyers find the perfect vehicles to drive home in. After decades of service to our customers, we have become synonymous with providing a quality selection, excellent prices, and friendly service. Our Difference is the Key! *Price excludes state and local tax, registration fees, and dealer conveyance fee or processing fee. Internet pricing includes all incentives and rebates. Special offers and pricing can only be applied to MSRP. Here at Executive Jeep, we take pride in offering an incredible selection of used vehicles for Milford drivers to choose from. When you shop with us you can also rest assured you’ll be getting the best deal with our Perfect Price Policy. You can also find additional savings by checking out our rotating used vehicle specials. Whatever your budget or preference, we’re certain you’ll find a used vehicle for sale in our inventory that suits your needs. Once you’ve browsed our inventory and found the vehicle you’ve been hunting, it’s time to get behind the wheel for a test drive. Contact us today to schedule your visit to our showroom in North Haven. If you need help deciding between leasing vs. buying your vehicle, consult our guide to help make a decision.